“From early youth to manhood’s ripened years, [they would be] the warmest personal friends, and next to their own kith and kin, each by the other has been the best beloved.” So said Alban Jasper Conant, a mutual friend of both George Caleb Bingham and James Sidney Rollins, some 40 years after Bingham and Rollins met. Rollins was the man, who at the behest of Abraham Lincoln, gave a stirring speech that persuaded his colleagues to pass the 13th amendment, the bill that abolished slavery. Rollins was also the man who helped artist George Caleb Bingham achieve fame. 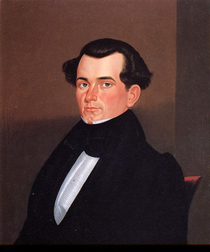 When James Sidney Rollins was born in Richmond, Kentucky, on April 19, 1812, to Dr. Anthony Wayne Rollins and Sarah [Sallie] Harris Rodes Rollins, he inherited his father’s cleft chin and his mother’s aristocratic nose. His parents reared him to be a gentleman of principles. They shared their love of education with him. In 1830 he graduated as valedictorian from Indiana University. That same year his family moved to Boone County, Missouri, for his father’s health. James joined them there but soon relocated to Fayette, Missouri to study law under attorney – and later state Supreme Court justice – Abiel Leonard. 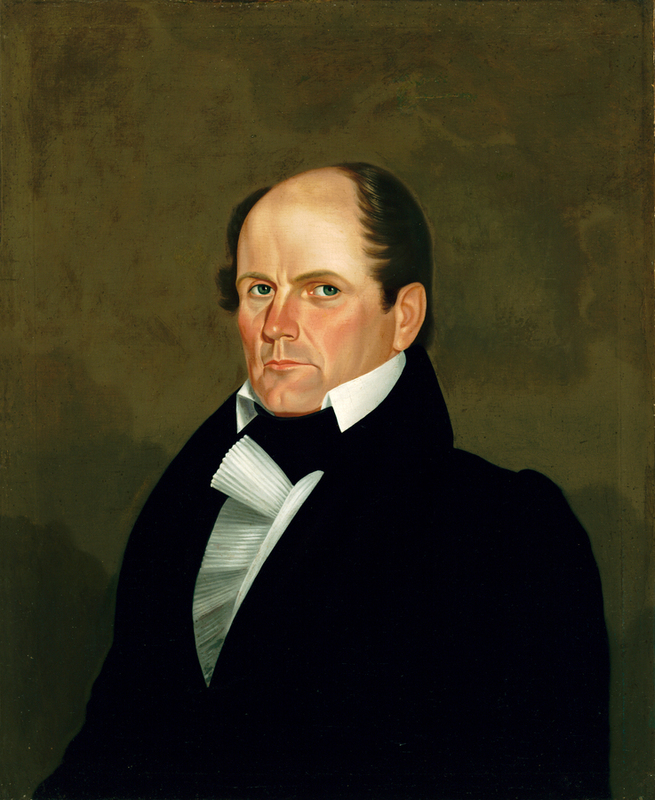 When the short-lived Black Hawk War erupted in 1832, Rollins served as aide-de-camp to General Richard Gentry, one of the most famous military men of his day. After six months of service Rollins was discharged with the rank of major, a title he used the rest of his life. By 1836 Rollins and college friend Thomas Miller had purchased two newspapers, the Boon’s Lick Advertiser and the Missouri Intelligencer, and combined them into The Columbia Patriot. He chaired the state’s first railway convention and drafted a petition to Congress for railroad land grants for Missouri. He was 24. A. J. Conant on the occasion of the dedication of a Bingham portrait of Rollins commissioned by the curators of the University of Missouri in The Rollins Portrait: Proceedings and Addresses on Its Presentation to the Board of Curators of the University by the Citizens of Boone County, June 24-26, 1873 (Columbia, Missouri: Statesman Book and Job Office, 1873), 13. The portrait was destroyed in a fire in 1892. James Sidney Rollins also attended Richmond Academy and Washington College (now Washington and Jefferson College) in Washington, Pennsylvania. Felix Eugene Snyder, History of Boone County, Missouri…, (Ramfire Press, 1882), 206. 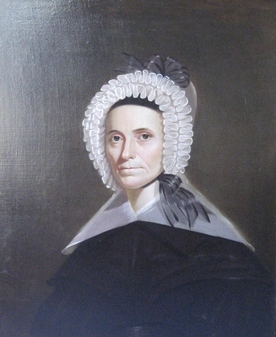 This entry was posted in Art Detectives, George Caleb Bingham, Stories Behind George Caleb Bingham Portraits and tagged 19th century American portrait, Dr. A. W. Rollins, Dr. Anthony Wayne Rollins, General Richard Gentry, George Caleb Bingham Portrait, James S Rollins, James Sidney Rollins, Major James Sidney Rollins biography, Patricia Moss, Stories Behind Portraits. Bookmark the permalink.